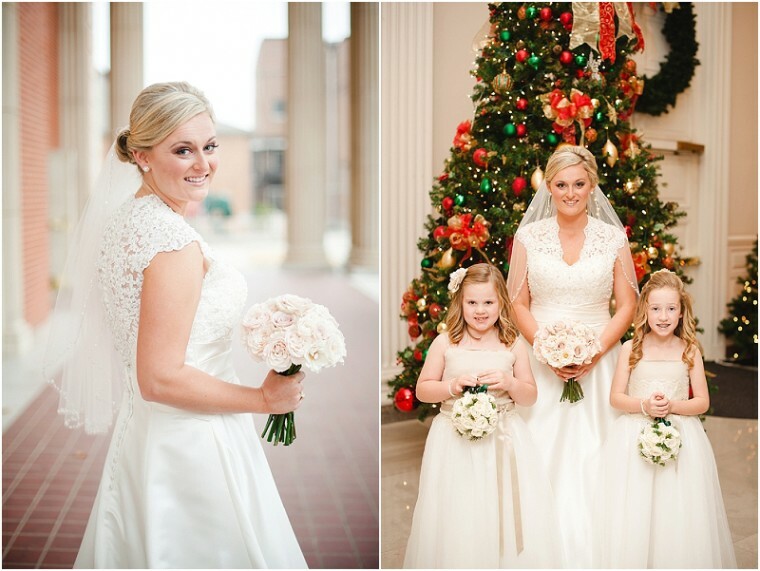 This elegant winter Fort Worth wedding captured by Jennifer Crenshaw Photography does a wonderful job of embracing the season. 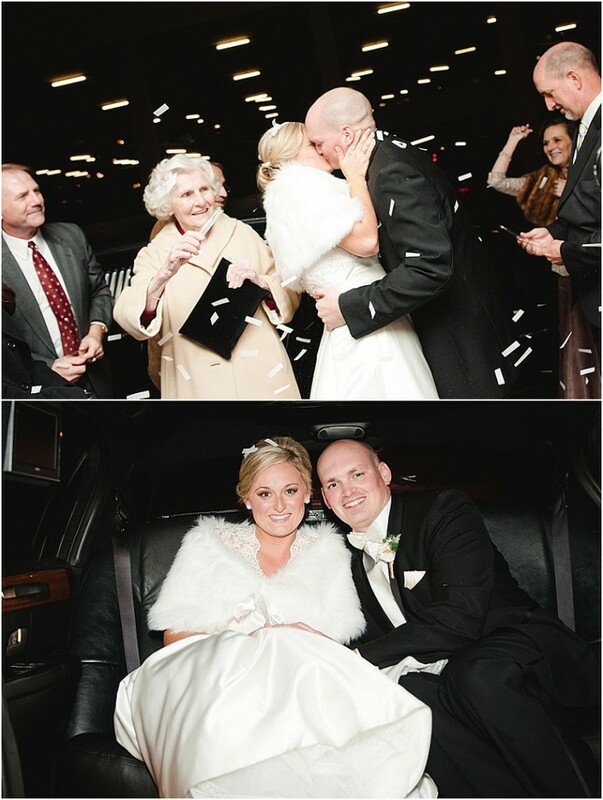 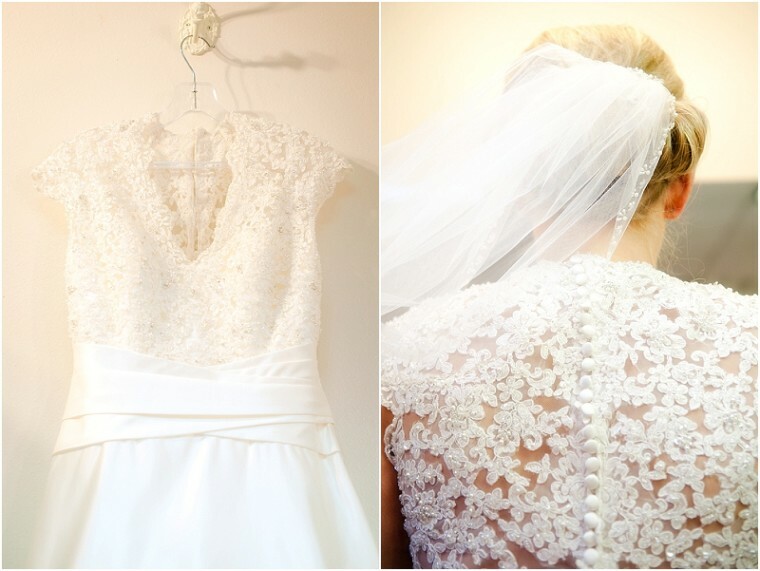 The bride's white fur wrap and the intricate lace work on her dress all make her look like a winter princess. 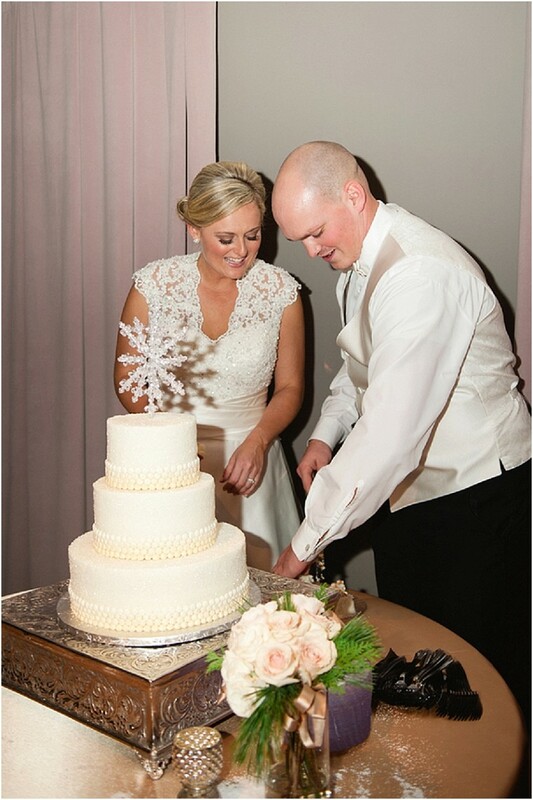 Other ways the bride and groom embraced the winter season include the dark green bridesmaid dresses, the snowflake decoration on top of the wedding cake, and the snow frosted pinecones on the reception tables. 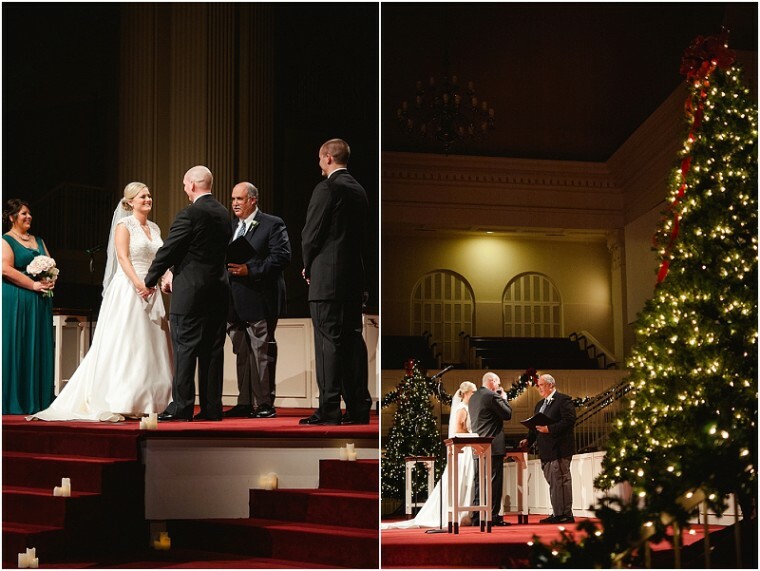 I love to see winter weddings that manage to include photos with Christmas tress as well. 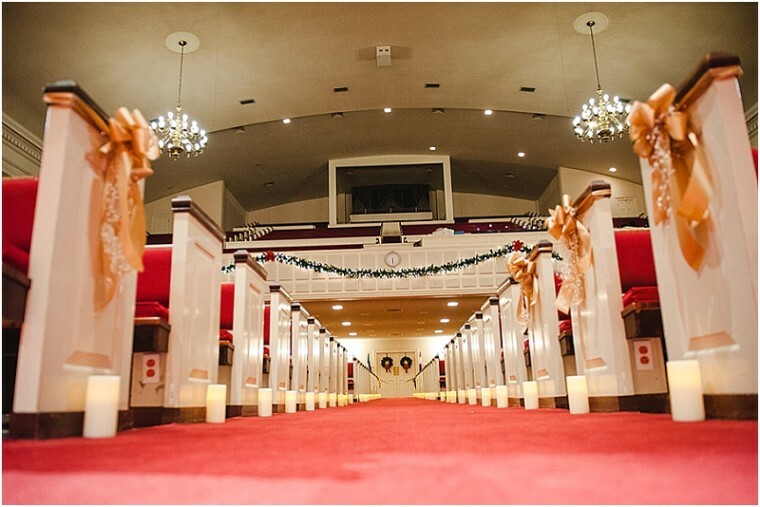 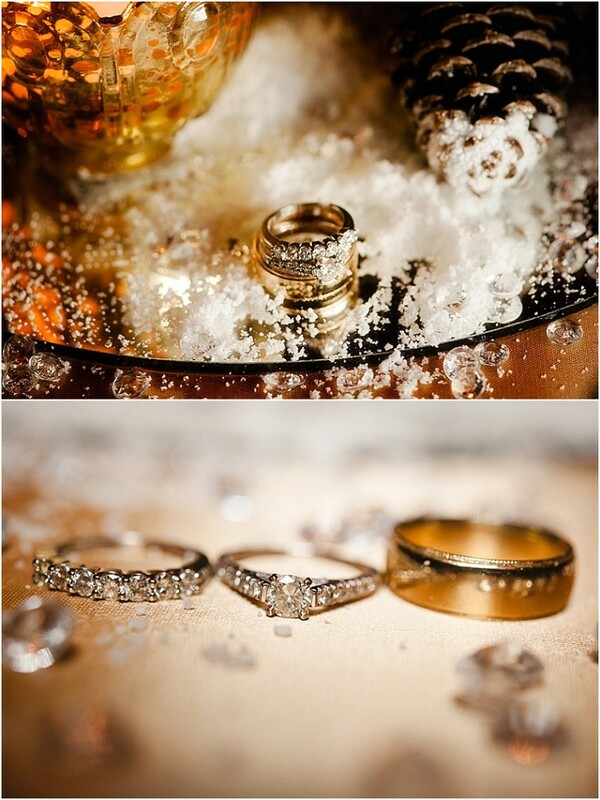 Why not take advantage of decor already in place at your ceremony or reception site? 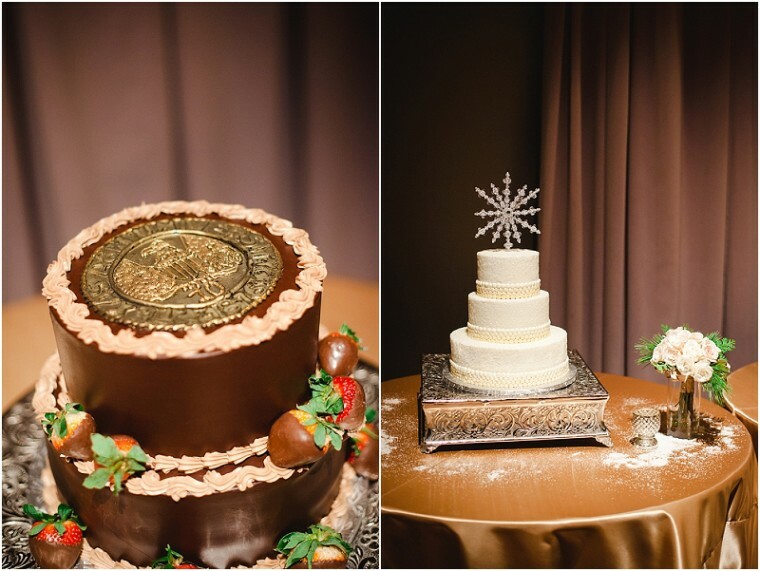 I'm also loving the Texas A & M cake that adds such a nice bit of the couple's history into their wedding celebration. 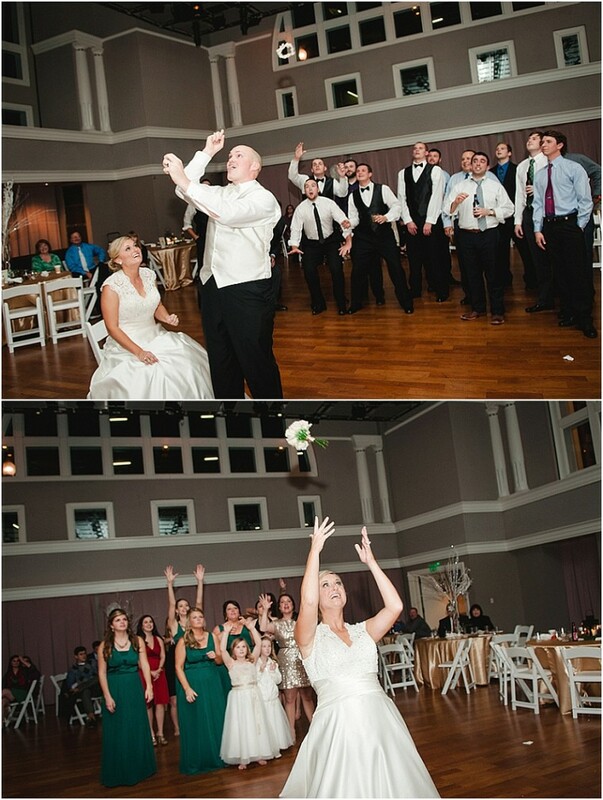 Check out more photos from this wedding in the gallery. 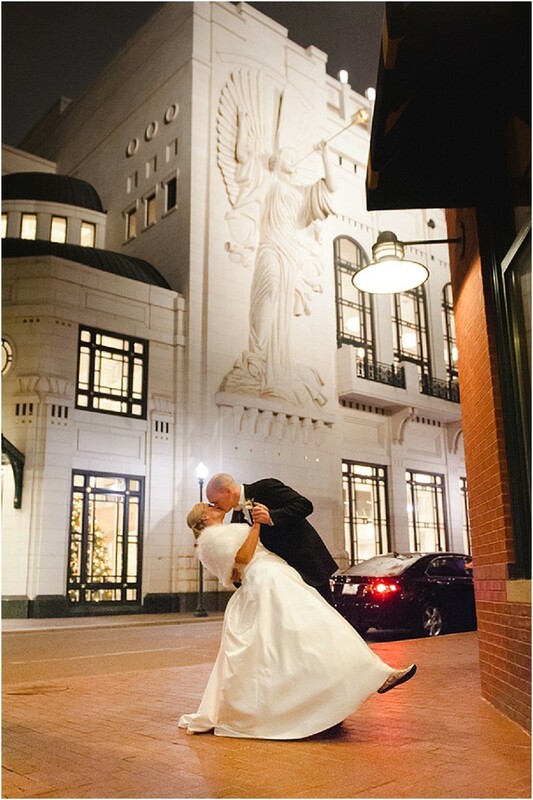 From Jennifer Crenshaw Photography...Jessica and Steven met and fell in love while attending college together at Texas A&M. 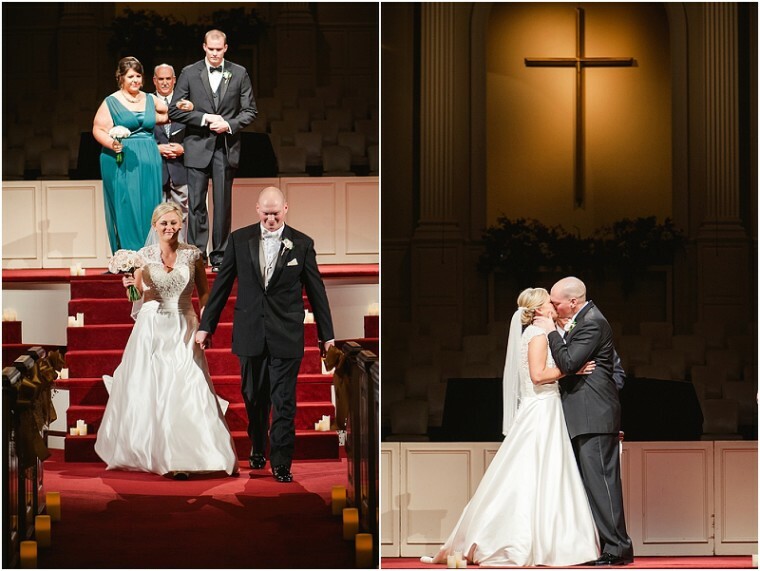 They were married at the Travis Avenue Baptist Church in Fort Worth during the Christmas holiday. 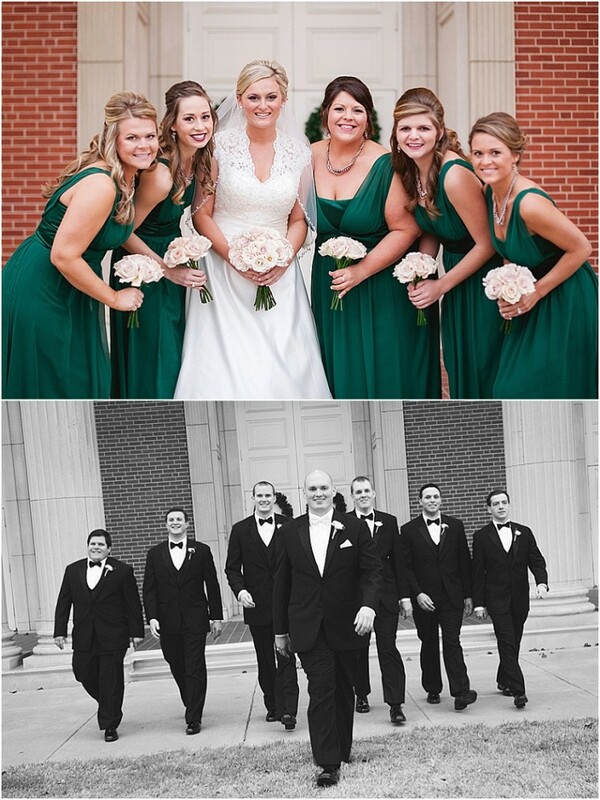 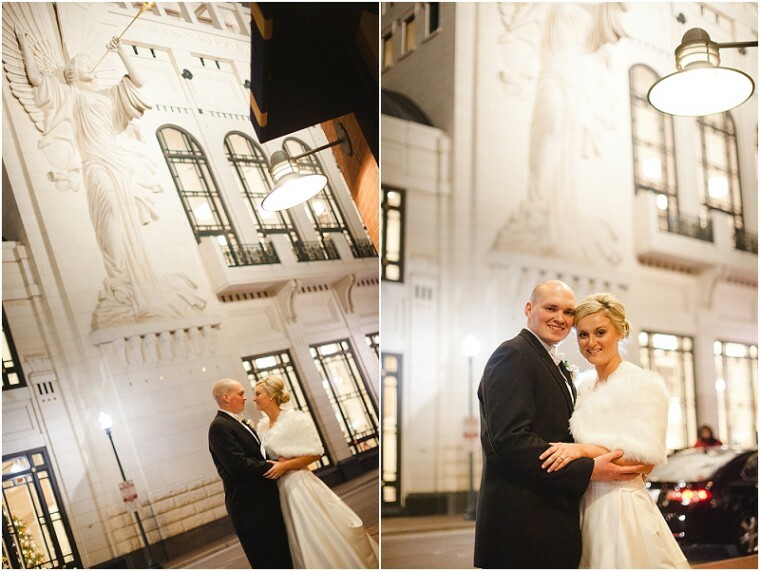 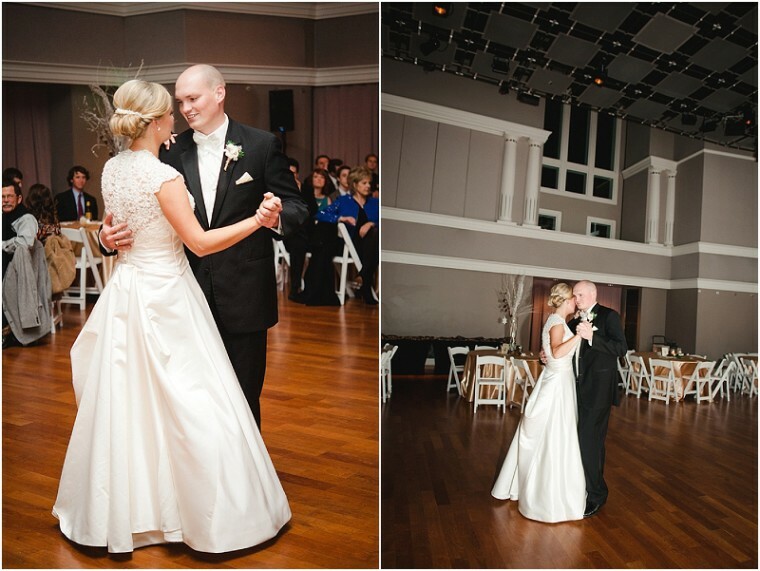 Their reception followed at the Bass Performance Hall Complex in the Van Beuren Recital Hall. 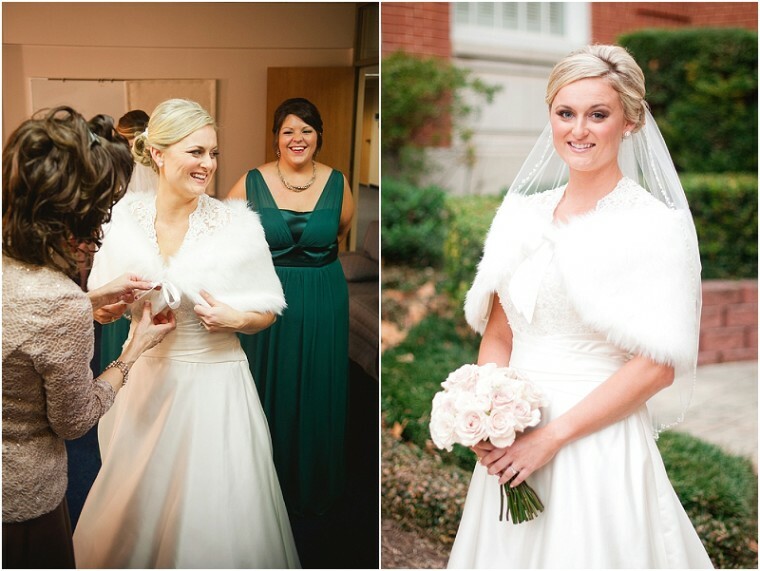 The cold winter day didn't stop this bride from glowing. 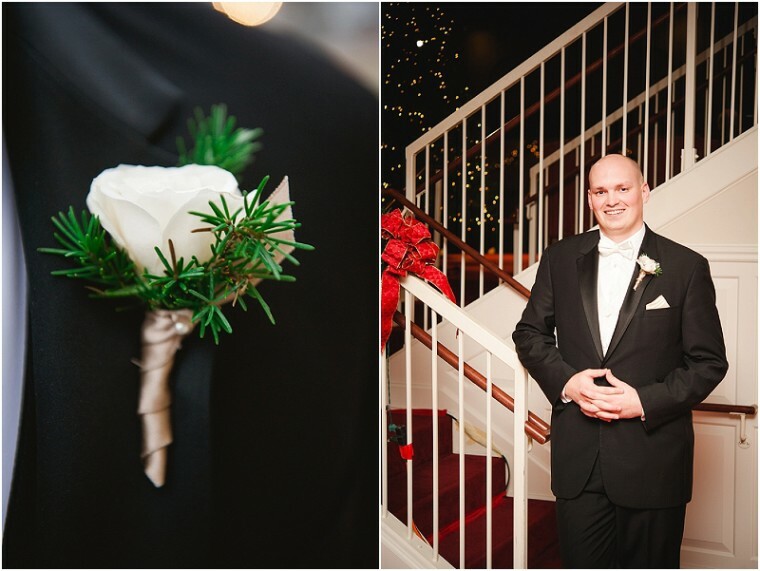 Deep green and champagne colors paired with earthy pines made this wedding a winter wonderland. 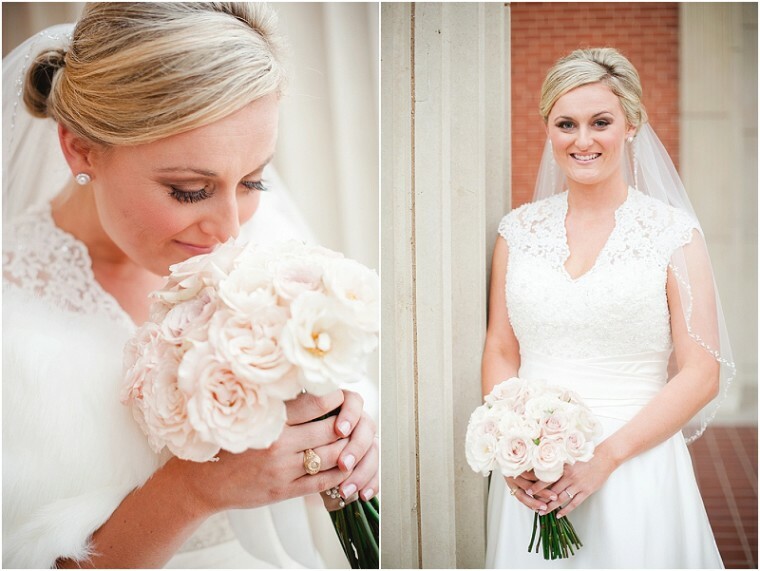 All of the florals were done by Gloria from Blooming Accents. 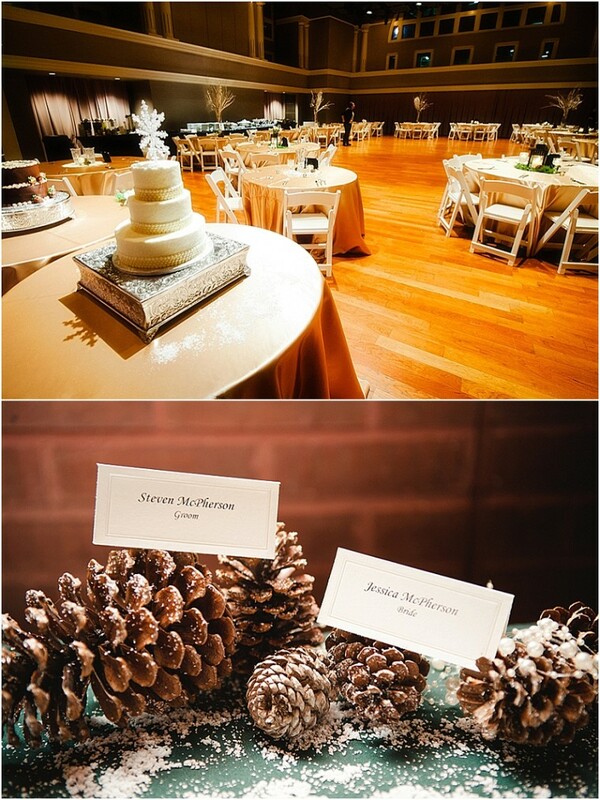 The brides mother, Lori, created all of the centerpieces and reception details from found pinecones, snow, and glass. 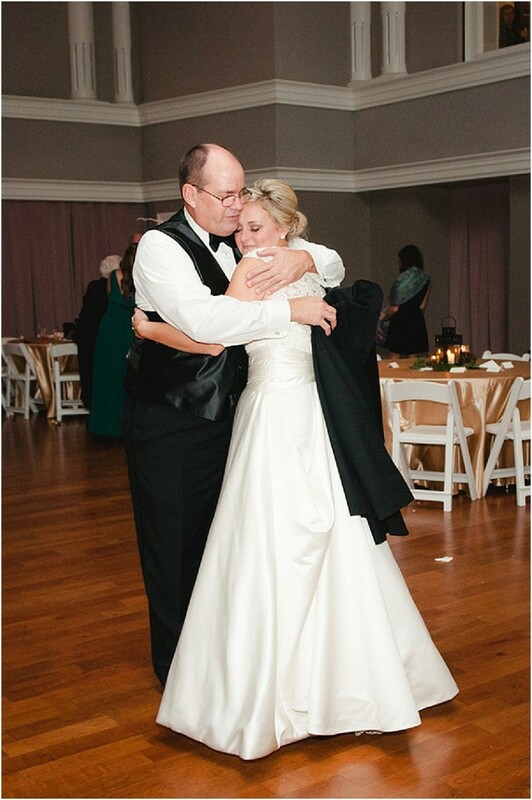 It was a beautiful evening with family and friends.